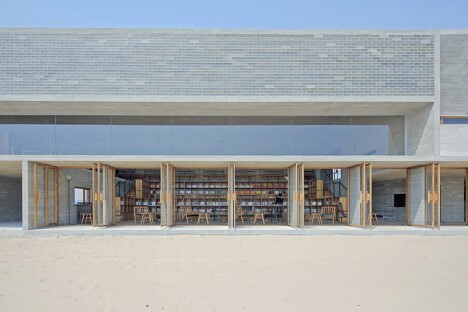 If you’ve ever gotten bored with the book you’re reading on the beach and wished you could just run into a seaside library for a new one, here’s the building of your dreams: a stunning modern repository of books so close to the sea, it’s practically on the water. 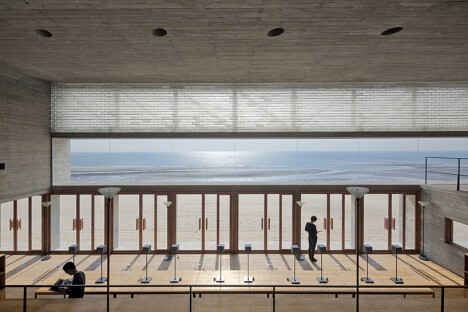 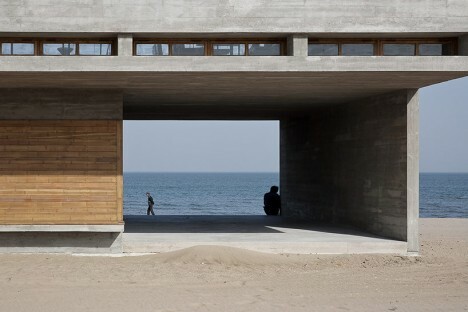 Vector Architects positioned this monumental concrete structure right on the edge of China’s Bohai Bay, about three hours from Beijing, with massive glass doors opening the reading space right onto the sand. 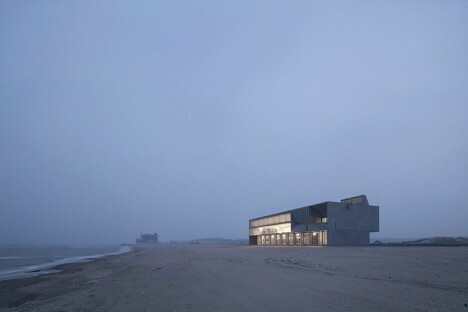 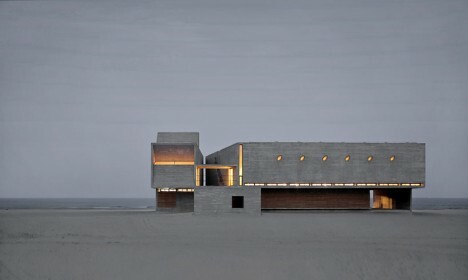 Oriented to direct nearly all of its views to the water, the library feels strong and solid, anchored to the sand. 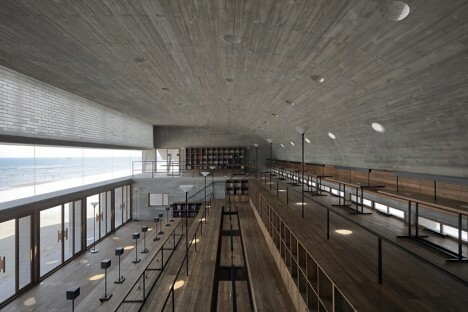 Of course, it’s hard not to worry about all of those books being ruined in the event of a severe storm. 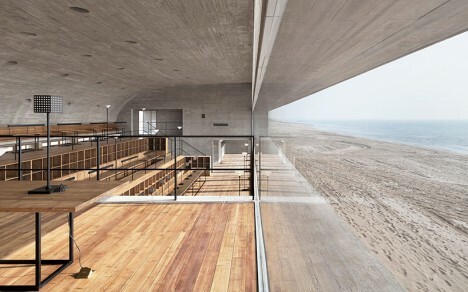 It’s not clear whether the architects have taken any particular precautions against potential disasters, but it certainly looks like a beautiful place to sit and read, especially when the lower doors are all open to the breezes coming off the water. 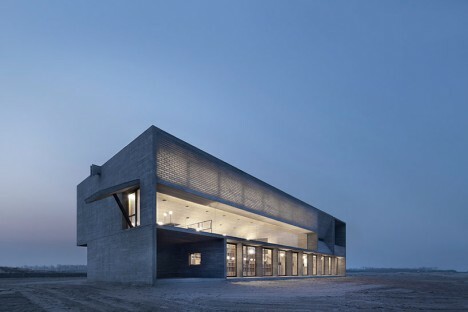 Steel roof trusses support the massive canopy roof, which curves down into the wall at the rear of the building. 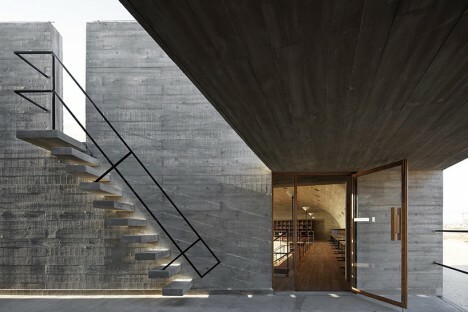 Upper-level benches and tables look out a strip of fixed windows, and a stairway leads to a small rooftop patio. 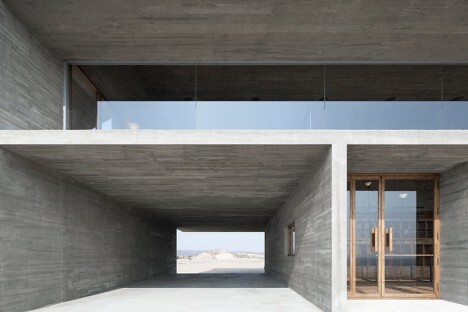 In contrast, a meditation room is insulated from the rest of the space, the only windows a handful of skylights carefully directing natural light. 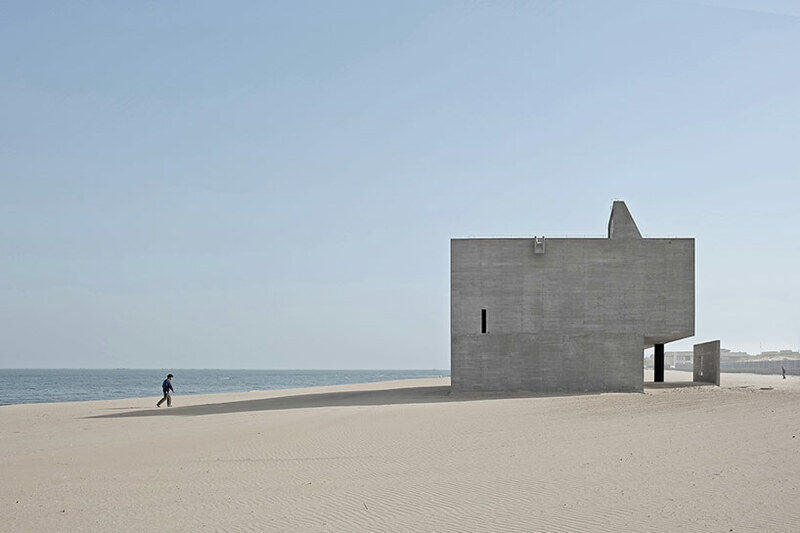 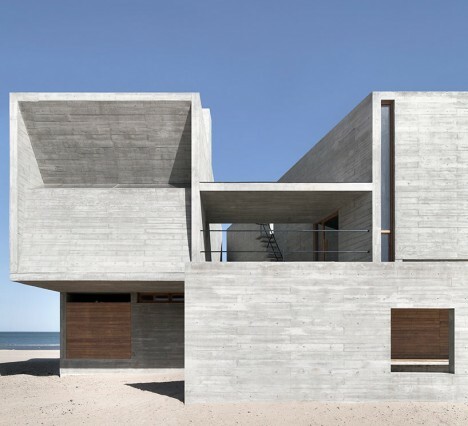 The building feels like a real-life version of a series of storm-proof fantasy beach structures by Dionisio Gonzalez – architecture with the heft and wherewithal to stand up to the elements when other buildings would be swept away.